Casually elegant Salishan home with golf course frontage and bay view. 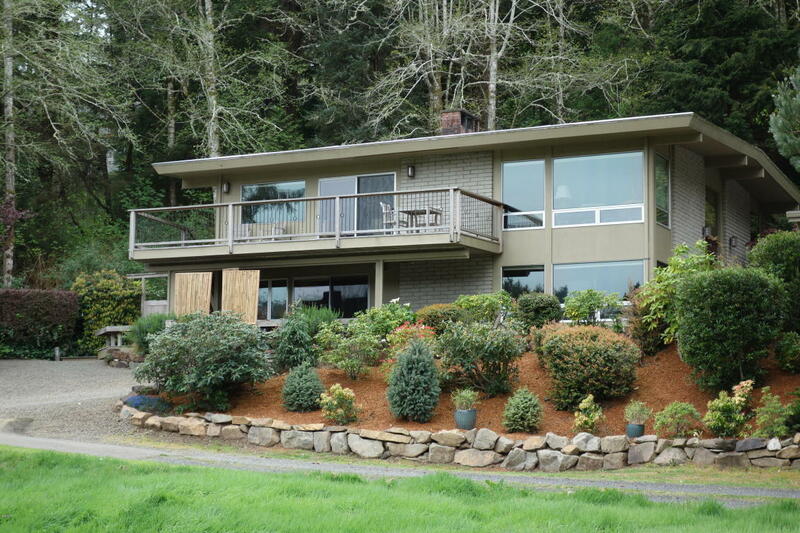 Pacific NW style meets Mid-Century Modern in this refined home completely remodeled in 2006. Hardwood floors throughout, radiant heat, sunroom. Rock terraced gardens with mature, native plantings. Two living areas makes for a variety of uses. Adj. lot to the S also for sale, MLS#17-479, 11 Alder Lane must sell with or before the lot.